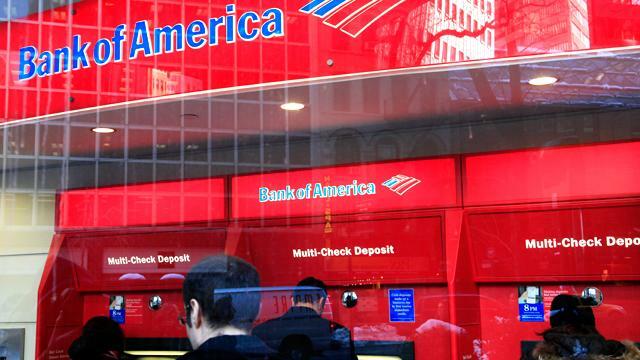 Bank of America has dropped its planned $5 monthly debit card fee, in a complete reversal of its announcement late September that attracted a maelstrom of customer anger. "We have listened to our customers very closely over the last few weeks and recognize their concern with our proposed debit usage fee," David Darnell, co-chief operating officer, said in a statement today. "Our customers' voices are most important to us. As a result, we are not currently charging the fee and will not be moving forward with any additional plans to do so." After Bank of America, based in Charlotte, N.C., announced the planned fee, customers expressed outrage, including a petition signed by 300,000 customers across the country threatening to leave the bank if the fee were implemented. The company said Friday it was planning to offer more choices for customers to avoid the fee, although it was still planning to charge it next year. A person familiar with the matter had said customers could avoid the fee if they maintain minimum balances, deposit paychecks directly or use Bank of America credit cards. "We're continuing to refine the program," a source told ABC News' Matt Gutman Friday. Early in October, Bank of America CEO Brian Moynihan told Gutman the fee "is meant to provide great service" and that customers with a balance greater than $5,000 will be exempt. Smaller community banks and credit unions tried to recruit irate customers who were planning to leave the big banks. But large national banks have stated they will not charge customers for debit card fees, although many in the banking industry had warned financial institutions would begin to charge higher fees as a result of federal banking regulation. JPMorgan Chase decided last week it will not charge customers who use their debit cards for purchases, joining a growing list of banks that had no plans to follow the lead of financial giant Bank of America. JPMorgan Chase, Citigroup, U.S. Bank, PNC Financial, and Key Bank have confirmed they are not planning to charge customers debit card fees when they make purchases. JPMorgan Chase, the largest bank in the country by total assets, began testing a $3 fee in parts of Wisconsin and Georgia in February. But the bank decided it won't roll out the fee to the rest of the country, as first reported by the Wall Street Journal. A person familiar with Chase confirmed with ABC News that it is not planning to charge debit card fees due to customer preferences. Many in the banking industry had warned that higher fees to consumers would follow the Dodd-Frank's Durbin Amendment, which went into effect on Oct. 1. The amendment capped debit card interchange fees for merchants at 21 cents per transaction earlier this year. Before the amendment, debit card companies charged merchants an average interchange fee of 44 cents per transaction.